The recent controversy surrounding the group of Carnatic musicians who helped produce a Christian album set to Carnatic melodies, while having generated much outrage, has also spawned a host of interesting arguments coming out in defense of the artists’ actions. One particular article from The Hindu 1 which caught my attention posed an extremely intriguing question – “What is the threat they (the artists in question as well as those who hired them) have posed to Hinduism?” The author followed this with a brief expose on the history of Christian involvement in Carnatic Music, including the stories of Vedanayagam Sastriar, Rao Saheb Abraham Pandithar, A.M. Chinnaswami Mudaliar and others. 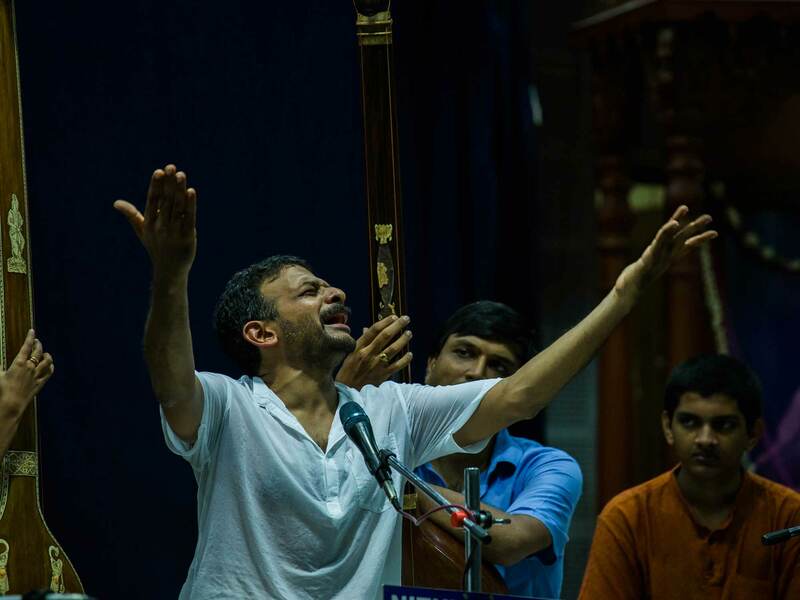 In essence, he believes that since the paths of Christianity and Carnatic music have crossed before and nothing happened to the art form as a result, the present backlash is unwarranted. But I find this line of argumentation riddled with fallacy as well as simply naive. So I will start first by answering the author’s original question: what is the threat posed to Hinduism, given the history of Christian-Carnatic collaboration? The fundamental flaw with this article’s reasoning is that it is based on false equivalency and fueled by anecdotal evidence. Giving your readers the example of Rao Saheb Abraham Pandithar convening a music conference or D.K Pattammal and P. Sambamoorthy participating in a Christian school of music a century ago tells them nothing about the present issue. For starters, Christian evangelism, especially in developing nations like India, is an entirely different animal today than it was a hundred years ago, the time period from which the majority of author’s examples are from. That answers his question as to why the reaction today is different. Things just aren’t the same! If you, the reader, needs any proof of this, visit the website of evangelical organizations such as the Joshua Project (https://joshuaproject.net/countries/IN). The systematized and thorough manner in which these evangelical outfits target and profile specific groups of vulnerable people and their religious traditions is astonishing, and to be quite honest, almost admirable – they are certainly a dedicated bunch. Thus, the backlash that the present controversy generated is more than understandable, if not entirely justified. The outraged fear that their culture, in which they take great pride in preserving, is under attack, in the same way that so many other traditions, such as the Navajo or the Maasai, have been the victims of similar cultural vandalism, with devastating results. In addition to Christianity’s history of cultural vandalism, it also has a colorful history when it comes to cultural appropriation. Take the christmas tree, a symbol which, other than the cross itself, is perhaps most associated with the Christian tradition. It is, however, just as original to Christianity as the “dvajastamba” that adorns the front of the Santhome Church in Chennai – it was adopted, or rather appropriated, from the now forgotten pagan traditions that once dominated much of western Europe but were wiped out with the advent of Christianity. Another such example is of Thiruvalluvar’s Thirukkural, a text which evangelistic elements attempted to claim as their own, writing books with titles such as ‘Thiruvalluvar Christuvara’ (Is Thiruvalluvar a Christian?). This once again illustrates the reason for the outrage – lovers of Carnatic music simply don’t want history to repeat itself. There are also those, such as T.M. Krishna, who have written that accusations of plagiarism and appropriation within the context of the present issue are unfounded because Carnatic Music has its own instances of such sharing. Instances cited include the fact that “Purandara Dasa’s ‘Smarane Onde Salade’ and ‘Hari Katha Shravana Mado’ resonate with Tyagaraja’s ‘Smarane Sukhamu’ and ‘Rama Katha Sudha Rasa’” and that “Muttusvami Dikshitar transformed ‘God save the gracious king/queen’ to ‘santatam pahimam Sangita shyamale’.” 4 In the first case, a false equivalency is being drawn – there is most certainly a huge difference between the exchanging and sharing of ideas within a single tradition and the repurposing of one tradition’s ideas by another, which is what is happening now. In the case of Muttsvami Dikshitar too the context is different. Dikshitar, having perhaps heard “God Save the Gracious Queen/King” played by a marching band in passing, was most probably inspired, perhaps even subconsciously, to incorporate the melodies he had heard into his song ‘santatam pahimam Sangita shyamale’ – it was hardly an agenda-driven effort of any sort. So using such examples to draw parallels with the present matter at hand is illogical. Now one might argue, and prudently I may add, that the artists in question are entitled to ‘artistic freedom’ – participating in projects such as this is within their right as musicians. Yet this prudent individual is forgetting just one thing: as Eleanor Roosevelt once said, “with freedom comes responsibility.” Looking at this issue and claiming artistic freedom is flawed for one very important reason – it is applying a western lens to a situation in which such a lens has no context. There has never been a place in our culture for trademarks, royalties or copyright – traditionally, our gurus pass on their knowledge under one condition – that we, as the next generation, protect and propagate that knowledge in its entirety. I myself am currently living in a gurukulam learning Sanskrit grammar from Dr. Pushpa Dikshit, a renowned scholar of the subject. Now Mataji (as we affectionately call her) teaches, feeds and houses us absolutely free of cost. Yet she does so under one condition – that we continue the lineage and carry forth the tradition without compromise. Any rasika who has attended a morning lecture demonstration at the Music Academy can attest to the number of presentations dedicated to the ‘PaaTanthara’ or tradition of a certain school of music and the importance given to preserving that ‘PaaTanthara.’ In the case of Carnatic Music, each artist is a vital link in a tradition that is not widely practiced. It is thus critical that outside influences, especially those with the track record of Christianity, do not have a chance to repurpose it entirely. The treatment of this matter as artists simply exchanging ideas and exploring their artistry is naïve. Unfortunately, gone are the days when the sharing of even art was an innocent act, for lessons from recent history tell us otherwise. Given the pace of the onslaught, it may perhaps be too late to take the ‘wait and see’ approach – there is much too much at stake here. So, in conclusion, the threat to Hinduism as a culture is this: given that it is passive and pluralistic at its core while the very backbone, the modus operandi of Christianity is actively displacing diversity with strict cultural homogeneity, any attempts at hybridizing Christianity with traditional elements can only be seen as a threat to the individuality of the tradition. Therefore, this is hardly an issue that can be given a fleeting glance, as The Hindu and others have, for that is just callous disregard. Siddhartha is a student studying mathematics and Computer Science at Stanford University. A passionate student of Sanskrit poetics, grammar and linguistics, he has chosen to take a gap year to spend time in Chattisgarh, where he is studying Samskrit Vyakaranam in a traditional gurukulam setting. Some of his Sanskrit-related work may be seen on YouTube channel called The Sanskrit Corner, which has popular videos to teach Sanskrit grammar and poetry. Siddhartha is also a serious student of Carnatic music and performs regularly during the December season. Here is the comment I posted on Sriram’s blog. He is a scholar and otherwise nice person but he did not respond. Is it true that this Vedanayagam refused repeated plaints of Sarabhoji to compose a kriti on a Hindu deity, even after Sarabhoji offered to compose in praise of Jesus, and that Sarabhoji continued to patronize him while his son Sivaji (whose way current protesters are following) had a different opinion and terminated his services? When Sarabhoji, Raja of Tanjavur heard his court poet Vedanayakam recite the Bethlehem Kuravanji, he asked him (his court poet) to compose a Kuravanji for Brhadishvara. This is a remarkable essay, that stands up for what is true, and does it in the best of Hindu tradition. It shows commitment, (nistha) a function of courage and emotional maturity ; but also a fine, thinking mind, a function of reason, the ability to sift through the chaff and get to the grain (kushagra buddhi). The issues Siddhartha brings up are really worth thinking about by every educated Hindu, of every jati and varna, and region of the world. The aggression of Christian evangelism manifests itself on various fronts, and cultural appropriation with a malicious intent is a core competency of the whole enterprise. This involves taking over ideas, cultural concepts and practices to enrich itself ; and demonizing the source. The harm done to the source is usually grievous, and often fatal. A simple example from core Christian history should always be kept in mind. The great bulk of Christian ideology, it’s heart as it were, emerges by appropriating and modifying Jewish ideas and cultural practices. Sure, it is mixed in with native European and Greco- Roman culture. This is not a happy “share and share alike “ , “we -all -artistically fertilize -each -other’s minds” situation. While Christianity could not even exist without the unwilling contributions of Judaism, for almost 2000 years Christians ( and their organized churches) did everything in their power to persecute, malign, torture and kill Jews who stood up for their own culture and religion. ThecJews were not respected as the originators and ancestors , but seen as an affront to Christ and this triumphant match across the earth because they continued to love their own religion and culture. Staying independent and retaining their identity was their crime. Do you really think this could not happen in India? That today there are only a few million Jews in the world but billions of Christians ought to teach us that anyone who enriches the Christian inculturation machine in India is setting innocent Hindus up for a similar destruction. Thank you Siddhartha, and May millions of Hindus read your essay! Very well articulated response to a very important issue, where any attempt to defend is labelled as “emotional outburst” or “over-reaction”. Well done, Siddhartha! Superb..Counter argument with proper logic..Good..Healthy one..Also mr.Sriram s a good columnist and has kind heart and reasonable mind to accept your counter views..Both had a healthy presentation..keep it up..
1. 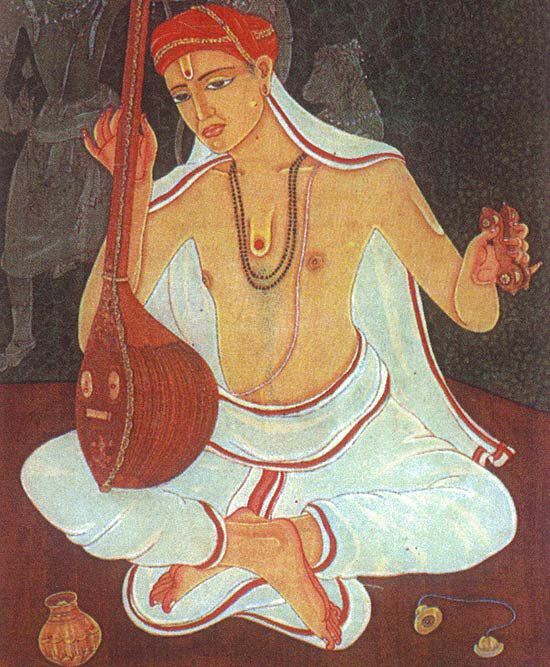 I sing tyAgaraja kritis or dikshitar kritis, but for Carnatic music the text is not important. It is the music that rides on the text. Even so when words embed or end on the same letter like daksha-sikshana, daksha-tara-sura – the sound of ksha is something may be aesthetically significant , may be it has some impact on music. Otherwise I am not really borrowing much from the text. The text is just so that listeners in their subjectivity can make a connection. So I am not ripping off tyAgarAja’s work or dikshitar’s work and making much money off of it. It is all the music I create for which I get paid. 2. Even the sangatis I sing based on notations , I was only following tradition if you all think I was rote singing before I made a transition. Now that I am free of all that baggage of sampradayA and tradition and gurudom, I am a free artist , free of any cultural encumbrances and I sing the way I think it is some great art and I no longer perform kutcheris anymore, and I am not following any paddhati. It is all an artist who evokes and provokes and connects with people and their socio-political agendas, providing lasting deliverance of emancipation for them from all the oppression and violation of human rights committed in the past on them etc. etc.! 3. Music / art/ creativity is entirely in it’s own realm. The same rAgA rendered today is completely a new experience ( read he doesn’t have to say it is original or new!) and not violating any copyrights of anything I myself rendered yesterday and hence even a recording company cannot object if I perform the same number to a limited audience somewhere. The rAgA after all is created from any inspiration drawn from anywhere including the happenings that particular day , including how the Veggie vendor yelled in front of my house etc. In other words it is all a new experience , created by the unique experience of the artist as I end up in the stage combined with all the experiences my listeners undergo before they occupy their seats! Nothing is plagiarized from anywhere. It is all like how the universe creates new space and new time as it expands , where it does not expand into anything existing , rather it expands all within itself creating a new something of itself .. dribble.. fubble.. whatever!